Mary Lincoln wrote letters urging state party leaders to support her husband. 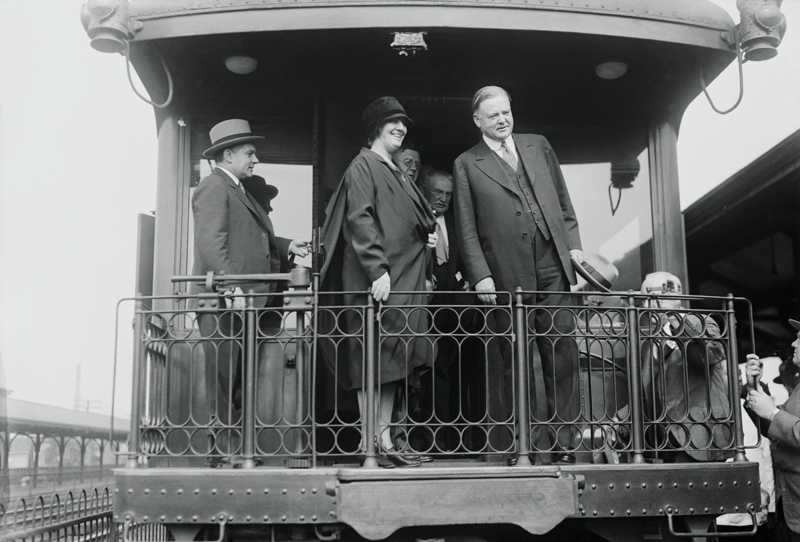 Helen Taft helped convince Theodore Roosevelt to support William Taft as his presidential successor. Eleanor Roosevelt spoke at the 1940 Democratic convention to support FDR’s nomination to an unprecedented third term. The wives of presidential candidates have campaigned at their sides, voiced opinions on strategy, and sometimes helped manage campaigns. Successful presidential candidates thank their spouses in acceptance speeches with good reason—they play an important part in helping win elections. 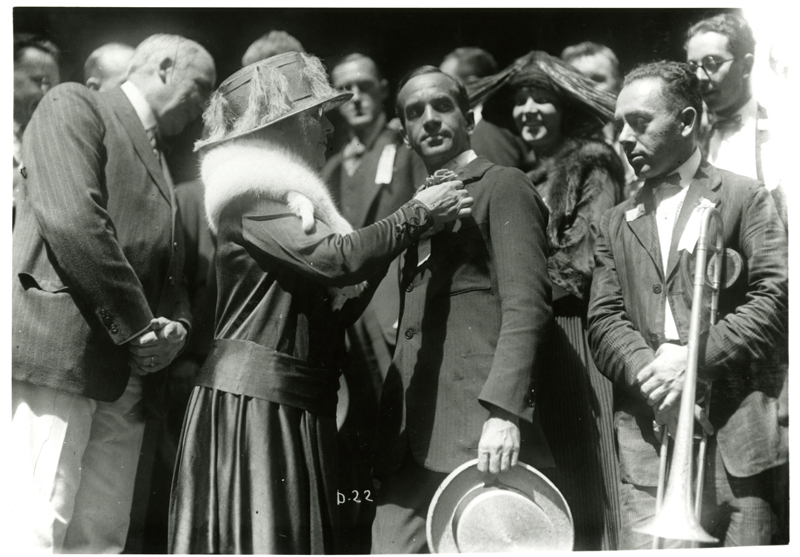 Florence Harding acted as one of Warren Harding’s campaign managers. She lobbied delegates and talked to the press at the 1920 Republican convention, arranged photo opportunities during the campaign, played a part in determining strategy, and actively courted the votes of newly enfranchised women. As women’s participation in politics has grown, spouses have increasingly acted as surrogates for candidates on the campaign trail. 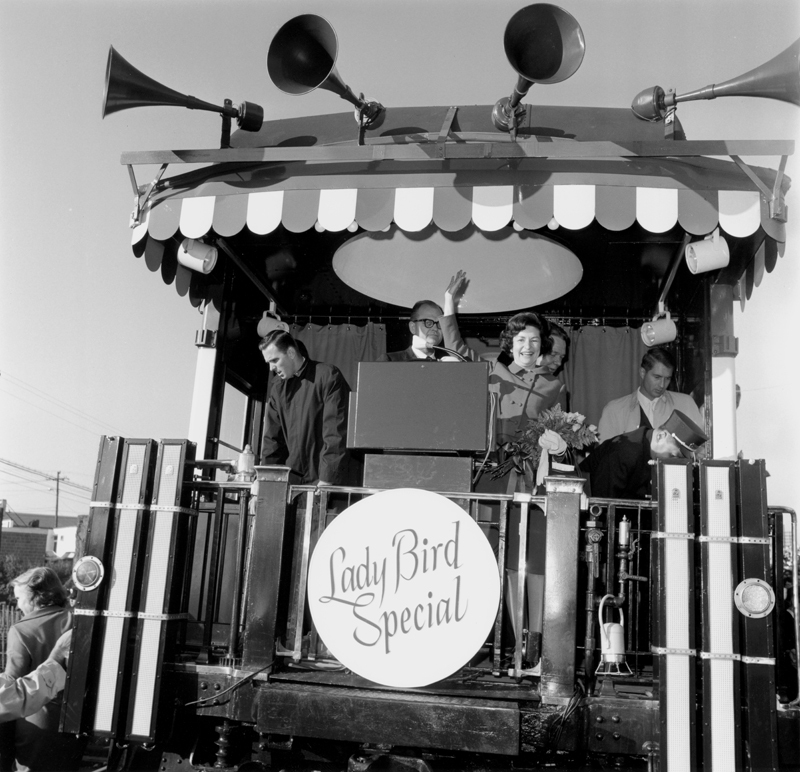 In 1964, Lady Bird Johnson made her own whistle-stop tour from Richmond, Virginia to New Orleans, Louisiana. She met with state party leaders and spoke to sometimes hostile crowds angered by the president’s support of the 1964 Civil Rights Act. 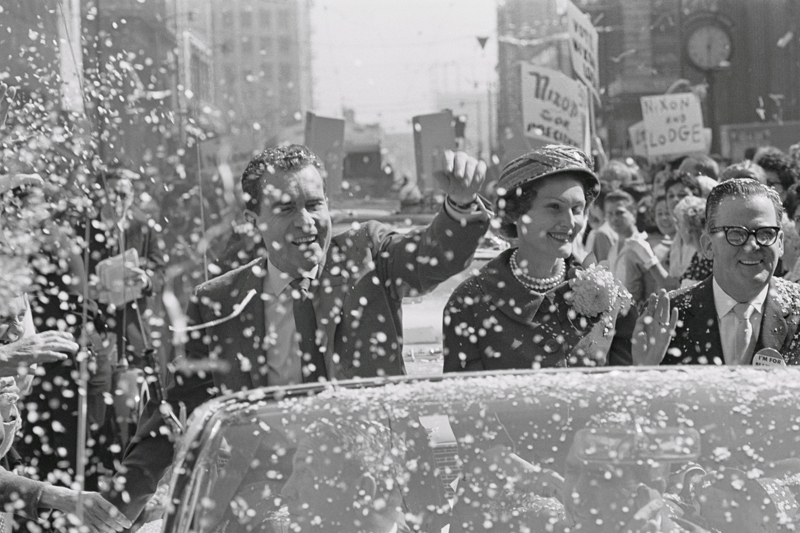 Her trip rallied support for Lyndon Johnson’s election. Candidates’ wives made their first campaign appearances in the late 1800s by publicly receiving delegations of their husbands’ supporters at their homes. 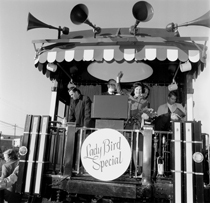 Appearances on campaign trains and at public events followed in the 1920s and 1930s, and soon the candidates’ wives were an eagerly anticipated part of campaign appearances. Now a spouse’s absence from the campaign trail can provoke negative press and public speculation.